Our music program is all about chamber music! All campers will play for the faculty on the first full day of camp before being placed in chamber music groups. Based on this on-campus audition, each camper is placed in two chamber groups. The group begins to work, rehearsing six days a week. Each group rehearses in both coached and uncoached environments. Once the piece is ready, the ensemble will perform for the entire camp in an appreciative and supportive environment. After that first piece has been mastered, the musicians will move on to the next challenge – a more difficult movement from the same work, or a brand new piece. Students have two main performance opportunities: a mid-session preview and a final concert. The mid-session preview happens on the first Sunday of each Session at 3:30 in our Rec Hall; families and friends are welcome to attend! Parents start arriving 30 minutes beforehand; they may enjoy the preview concert and then take campers out to eat, returning by 8:00 pm for evening activities. The Final Concert occurs on the last Saturday of each Session, where campers perform at 1pm at the Salisbury Congregational Church. This is a rewarding experience for the entire camp community. We depart from the church, looking forward to the next summer! 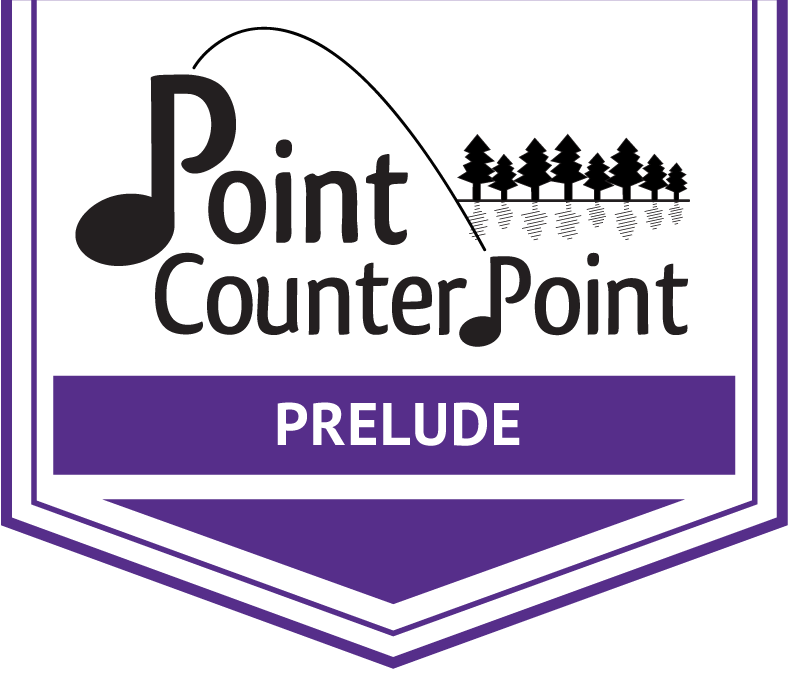 One thing that sets Point CounterPoint apart from other music camps is the amount of personal attention in the form of private lessons and coachings that each camper receives. 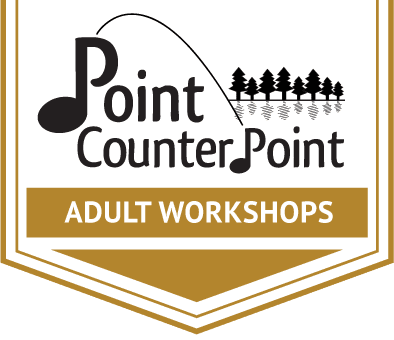 The personal and nurturing attention of Point CounterPoint faculty in the informal setting on Lake Dunmore often creates a special bond between student and teacher. Every camper has two scheduled practice periods daily; many also choose to spend a portion of their free time practicing. All-camp music classes present varied topics such as “How to rehearse without a coach,” “Shostakovich’s Russia,” or “Contemporary String Techniques.” Campers may also have the opportunity to perform in Master Classes for faculty; this provides experience playing for a small audience of campers and valuable advice from other coaches. Each Session’s faculty bring their own insights and expertise; past faculty have done presentations on Composition, Body Work, Early Music, and Music Theory. During each session, our faculty performs in public concerts as The Point CounterPoint Chamber Players at a variety of local venues. Their presentations of major chamber music works excite and motivate campers in their own musical growth, and campers always look forward to attending the concert. This popular series builds an intimate awareness of the discipline and joy of professional music-making. Weather and the instruments – Living at camp in the woods on a lake provides extra care. Cellos are kept in the RecHall in our cello parking lot, and violins and violas are kept in their cases in the campers’ sleeping cabins. PCP pays special attention to the weather and instrument safety is one of our top priorities. Pianos/Harpsichords: We have nine pianos and one harpsichord on campus. Pianists are asked to help care for these instruments while at PCP.